Why is Lyft called Lyft? Carpooling is not a new concept, nor is it only reserved for single lanes partitioned by solid lines along bustling North American highways. On the contrary, the idea of carpooling – or ridesharing – is even more common in places where vehicles are fewer and farther between. In many African countries, for example, you can find hitchhikers sprinkled all along the roadsides, waving down even the fullest cars. Here, though, it is more a necessity than a luxury. The scarcity of vehicles equates to having more people on the lookout for rides from others, and yet, people are still impressively capable of getting where they need to go. The perpetual presence of potential passengers is an experience all its own. It left such an impression on Lyft co-founder Logan Green that it ultimately inspired him to partner with John Zimmer on the launch of a slightly more intentional ridesharing service in the United States, known today as Zimride. Thus, the premise of Zimride was similar to the strategy Green had seen in Zimbabwe: to match empty seats in moving automobiles with prospective passengers who could chip in. Using Facebook Connect, Green and Zimmer focused first on college campuses, linking students headed home on holiday with those looking for a lift in the same direction. After five years of considerable success, Zimride set out to expand its offering to include travel within cities – instead of between them – with the launch of Lyft. Why is it called Lyft? In a TechCrunch Disrupt interview, Green said, “Lyft came out of a hackathon project where we were trying to figure out, ‘What does Zimride look like on mobile?’” Moving into the mobile space meant drivers could now connect with riders through an app, wherein each participant could then rate the other to gain trust and develop reputations within the community. While the meaning behind the unique spelling is unclear, it’s likely that a variation of lift was an obvious choice in a move away from Zimride, because, after all, they were looking to provide quick lifts instead of interstate or cross-country trips. It’s also a fairly a safe bet that by 2012 the lift-with-an-i domain had already been snatched up. SEE ALSO: Why is it Called Uber? 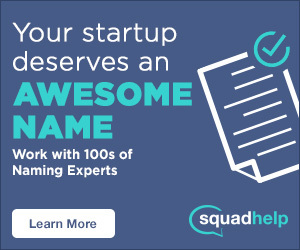 In any case, the peer-to-peer application is known much more widely for something other than its oddly-spelled name. It’s known instead for a fuzzy pink mustache that has been the brand’s eye-catching mascot since the very beginning. More than a conversation-starter, the mustaches are a physical embodiment of the sentiment around the brand that its founders were determined to incorporate. According to Inc, the symbol took shape via Ethan Eyler, a friend of Green and Zimmer who started the Carstache company. “His website was hilarious,” Zimmer said. “There was something that was really uplifting about seeing this thing on a car. It brought smiles to peoples’ faces.” After handing them out at a few early events, the mustaches soon became an iconic feature of the brand. Even after giving them a subtle makeover by reducing the size and trading fuzz for fluorescent light, the staches are still lighting up the night. They’re now operating in more than 65 cities across the U.S., with plans to expand internationally. And more recently, they raised $150 million, bringing their total financing to $1.26 billion and announced a partnership with local bars in Seattle to curb car crashes. Certainly no small feat for a company that once existed on suggested donations since paying for a rideshare was actually illegal. The way things are looking now, though, you’ll soon be able to catch a “lyft” wherever you go. Thanks for reading Why is Lyft called Lyft! Which rideshare service makes your wheels spin? #whyisitcalledLyft.